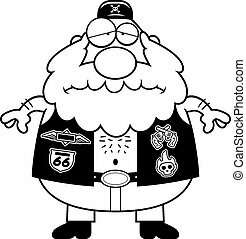 Cartoon biker character isolated on white. 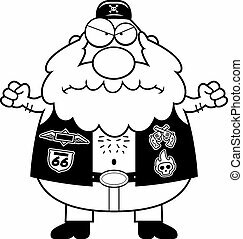 A cartoon illustration of a biker looking angry. 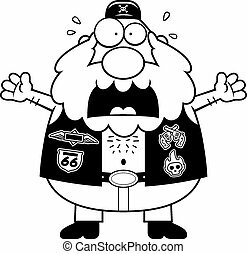 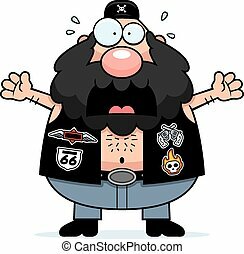 A cartoon illustration of a biker looking scared. 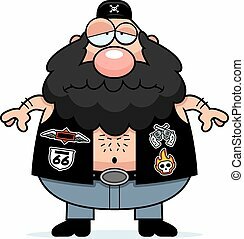 A cartoon illustration of a biker looking sad. 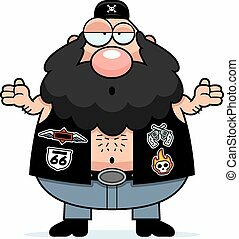 A cartoon illustration of a biker looking confused. 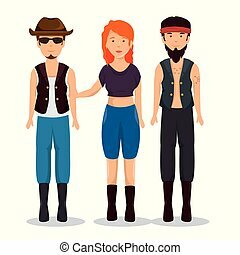 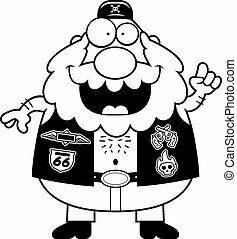 A cartoon illustration of a biker looking happy. 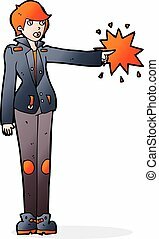 A cartoon illustration of a biker looking surprised. A cartoon illustration of a biker with an idea.